DENVER, February 12, 2019	(Newswire.com) - ​Perry Mattern, CFP®, CIMA®, today announced the launch of Mattern Capital Management, a fee-only, registered investment advisory firm in Denver, Colorado. Mattern previously practiced as part of Wells Fargo Advisors. Mattern has been a financial services professional since the early 1990s, helping individuals and families achieve their goals. He has extensive experience in tax-efficient investments and portfolio management for high net worth clients. Beginning his advisory career with A.G. Edwards & Sons in 2000, he built a highly regarded wealth management team which continued to work together through that firm’s acquisition by Wachovia Securities, followed by Wells Fargo’s acquisition of Wachovia in 2008, and now at Mattern Capital Management. With the new RIA structure, clients will have expanded access to investment solutions and the latest technology to provide ready insight into the performance of their investments. Mattern Capital Management is integrating providers such as Orion Advisor Services, Redtail, Advicent, and others with technology and custodial support provided by TradePMR, a middle-office solution with a twenty-year track-record of serving thousands of RIAs. “TradePMR’s award-winning software and high advisor satisfaction ratings are reassuring,” said Mattern, who added that First Clearing, member SIPC, a registered broker/dealer and non-bank affiliate of Wells Fargo & Company, will provide securities execution and brokerage clearance services. To celebrate the new RIA structure, Mattern Capital Management has launched a new website and moved to new offices at 1144 15th Street in downtown Denver. Clients and interested others are invited to drop by during standard business hours and/or to call (720) 710-2930 for a scheduled office tour and confidential conversation. 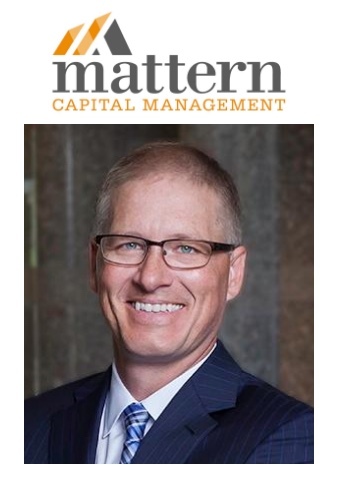 Mattern Capital Management was founded in 2019 as an SEC Registered Investment Advisor and financial planning firm, serving affluent individuals and families. The firm provides comprehensive planning services and investment management. Learn more at www.matterncapital.com.